Our estheticians will provide a thorough consultation prior to your service to analyze your skin and recommend a customized facial to meet your specific needs. Your facial may include a cleansing, toning, vapor, steam, exfoliation, massage, masque and moisturizer. 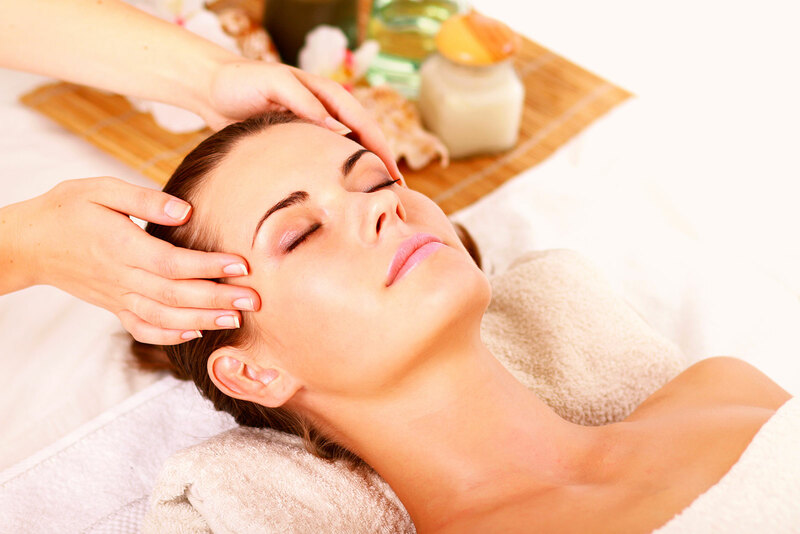 We believe that our facials offer the perfect blend of relaxation and results. Customized for your specific skin care needs, this classic facial is a wonderfully relaxing and hydrating treatment consisting of a double cleansing, thorough exfoliation, steaming, extractions, mask, and face massage. Our acclaimed Intraceuticals® line of hydrating and anti-aging products will dramatically transform the look and feel of your skin. The Intraceuticals Oxygen Infusion System® delivers deep hydration and immediate results. Includes triple cleanse, exfoliation, Intraceuticals 3-Step Hyaluronic Layering®, targeted eye and lip masks, hand and foot hydration treatments. Revive, replenish and protect your skin with Intraceuticals 3-Step Hyaluronic layering system. Intraceuticals treatments and professional grade skincare products combine powerful anti-ageing ingredients, vitamins, and antioxidants with multi-weight hyaluronic acid to dramatically transform the look and feel of your skin. Perfect for any skin type, you will see instant visible results during this cooling, calming treatment. Your skin will look and feel years younger, visibly lifted, toned and hydrated. Ideal for uneven dull spotty skin tone. Brightens and smoothes the look of the skin to reveal a lighter brighter appearance. Thirty min. of undivided attention for your skin. Customized treatment may include cleansing, toning, moisturizing, massage, and healing mask. For those under 20, our Teen Clean is formulated specifically to treat breakouts and acne, control oil production, unplug compactions, eliminate bacteria, and reduce inflammation. Includes deep cleansing, extractions, mask, and instructions for home care. Microdermabrasion is one of the best preventive and corrective treatments for aging skin. It exfoliates upper layers of the epidermis to smooth away pigmentation & minor scars, refines skin texture, activates cell renewal, reduces expression lines and smooths wrinkles. For best results, we recommend a series of 4 – 6 treatments. Our peels are intensely exfoliating and offer nearly immediate results. With a series of peels you can reduce the appearance of fine lines, wrinkles, acne, and uneven pigmentation. Please schedule a BG Essential Facial at least one week prior to beginning treatments. This will include a test patch for peel allergies and setting skin care goals.